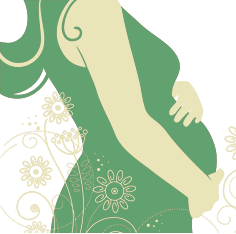 NWWC is proud to offer a four week series of prenatal classes taught by Juliana “J” Baron, CNM, and our Registered Nurses and Prenatal Class Educators, Jennifer Krieger, RN, and Grace Peverly, RN. NWWC started teaching these classes in March 2016. These classes are overseen by our midwifery team, and approved by our team of Medical Doctors. They are held in our Barnes office location for you to have a convenient and comfortable learning environment. Each month, the day of the week in which the classes are taught changes in order to try to meet everyone’s needs. The classes are held from 6:00pm to 8:00pm. The cost is $150 per couple for the FULL 4 week series. If you are interested, ask for our front desk for registration and payment at 503-416-9922. Payment is due at time of registration. NWWC also offers a class once every month or two on how to approach unmedicated labor. This class costs $75.00. Please ask when the next available class is scheduled.